Young soprano Ainsley Soutière is an engaging and versatile performer who is equally at home with operatic, recital and popular repertoire. A vocal performance graduate with degrees from both the University of Southern California and The Juilliard School, Ainsley has acquired additional training through attendance of the University of Miami School of Music in Salzburg, Austria, the Aspen Music Festival and School, and the Seattle Opera Internship program. Past credits have included “Berta” in The Barber of Cowtown with Cowtown Opera Company, “Adina” in Donizetti’s L’elisir d’amore for Jeunesses Musicales du Canada, “Pamina” in The Magic Flute, “Gretel” in Hansel and Gretel, and “Adina” in The Elixir of Love , all with Portland Opera to GO!, “Sophie” in Calgary Concert Opera Company’s Werther, “Rosemary” in Thornton Opera Program’s Summer and Smoke, “Nettie” in the USC Theatre Department’s production of Carousel, “Sarah” in Mozart’s Magic Fantasy with Calgary Opera; “Papagena” in Die Zauberflöte, and “Barbarina” in Le Nozze di Figaro with the Juilliard Opera Workshop; “Cis” in Albert Herring with the Aspen Opera Theatre Center; and “Mustardseed” in A Midsummer Night’s Dream with the Juilliard Opera Center. Other operas include: Beach’s Cabildo, Cavalli’s Eliogabalo, Debussy’s L’Enfant Prodigue, Mozart’s Così fan tutte, Ravel’s L’Enfant et les Sortilèges, and Rorem’s Our Town. Most recently, for Portland Opera to GO! Ms. Soutière completed an 11 week tour of Oregon State, singing the role of “Musetta” in Kristine McIntyre’s English adaptation of La Bohème. This tour also included a residency to work with the students at Eastern Oregon University, a performance of La Bohème with the Beaverton Symphony, and touring Opera Improv to several schools as well. Past performances also include solo recitals for the High River Gift of Music Society and the Columbia Valley Arts Council, performances as a part of the Aspen Music Festival, and University of Miami School of Music in Salzburg, Austria. Currently, she works year round with the artists at the Cowtown Opera Company, as Artist Liaison, as well as being a roster singer for the company. 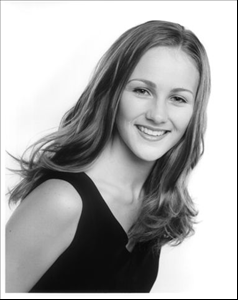 She is a past recipient of numerous awards, grants and scholarships from such organizations as Calgary Opera, Alberta Foundation for the Arts, the Northern Star Foundation, the University of Southern California, and The Juilliard School. Copyright © 2018 Calgary Musicians Association. All rights reserved. Website Developed by Maxogram Media Inc..